With this setting, all users will be imported. Opens a dialog when you Click on "Next" where the users can be selected. With this setting, all user accounts of new users will first be deactivated after the import and must be activated by the administrator. Passwords cannot be imported, as most source systems do not provide this function for security reasons. This option will cause Intrexx to not generate any passwords automatically. Users without passwords will have easy access to the portal, as only the user name is required to log in. This setting will cause Intrexx to generate pro forma unique passwords for each user. With these passwords, no login will be possible, but they can be changed by administrators in the User Manager. This setting will create a password for each user after import. If this setting is active, each user, which has a stored business email address, will be sent the new password automatically via email. 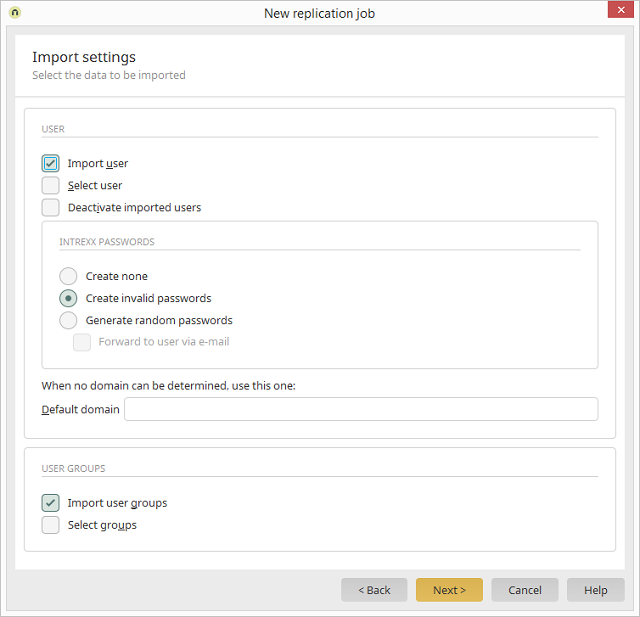 If no domains can be found for an LDAP import, a standard domain can be entered here. With this setting, all user groups will be imported. 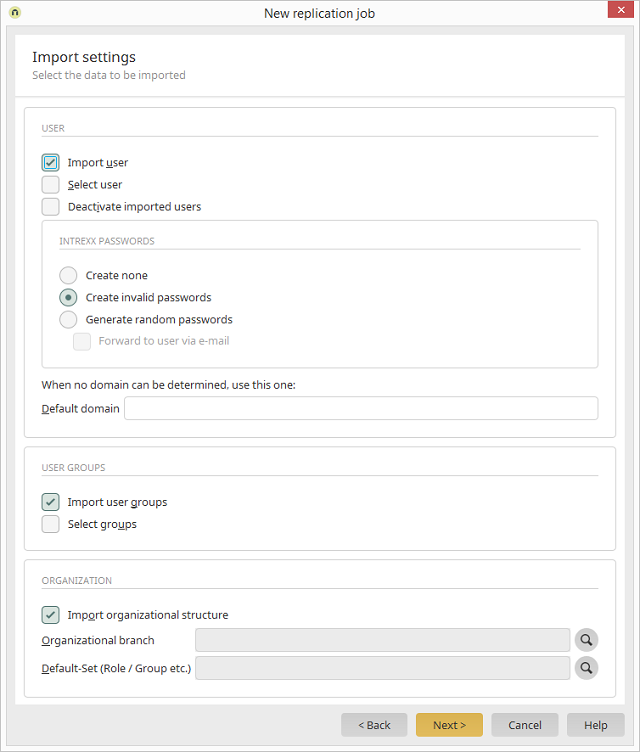 This setting will import organizational branches. Opens a dialog where the desired user object can be selected. 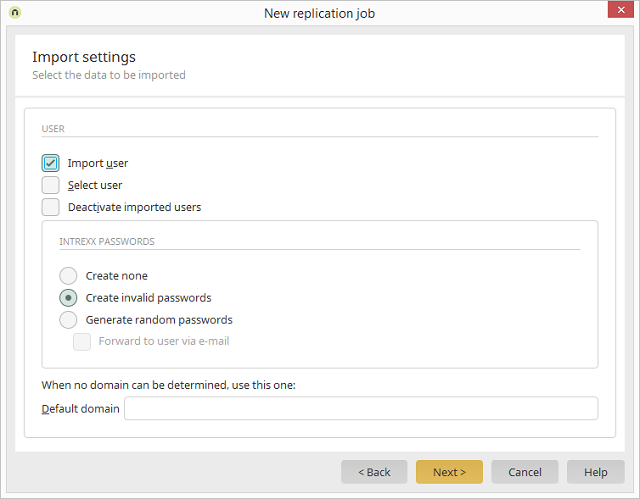 If organizational units are imported from LDAP directories that contain no assignment of users to positions or roles, the selected position type here will be used as the default assignment. Opens a dialog where the container can be selected. The settings in this dialog correspond to the settings that you can define for an LDAP source.